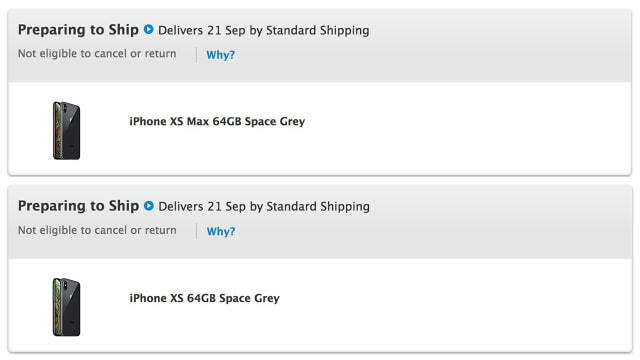 Apple has begun updating the status of iPhone XS and iPhone XS Max pre-orders to ‘Preparing to Ship’! Users in multiple countries began reporting the change in status earlier today. The flagship device will be delivered to customers starting September 21st. If you place a pre-order now, you can expect to get the new iPhone between Oct 1st and Oct 8th (this may vary depending on model, carrier, color, and storage). Let us know in the comments if your pre-order status has already been updated. Please follow iClarified on Twitter, Facebook, Google+, or RSS for more news ahead of release day!